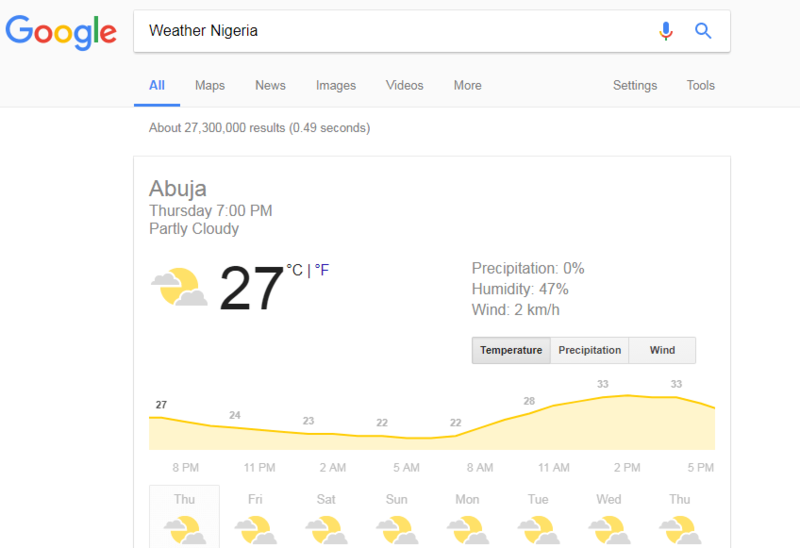 Most people use Google on daily basis, we use it to search for solutions, things, checking emails and other kinds of stuff, but there are some cool features you probably don’t know. Google trend is a statistical analysis service based on google serac, this service provides sets of graphs, tables, and data that will help you understand the terms used in search queries, it’s a protocol tool to optimize your SEO, Google trend examines trends by date and offers top research in the desired category, experienced webmasters use this to develop their subjects with high traffic and it is fairly known to average users. 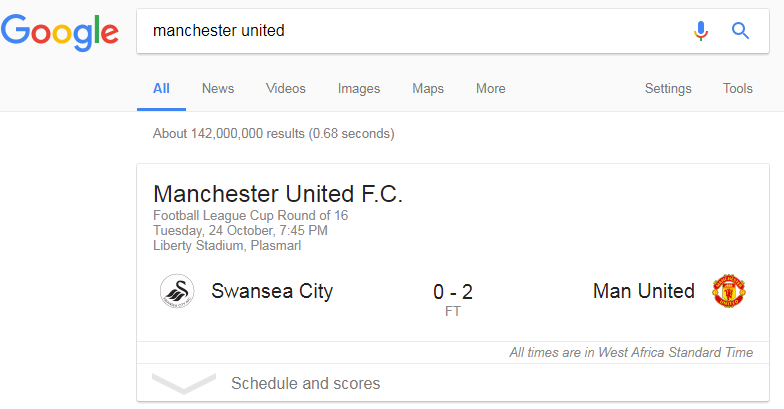 If you have interest in sports, google will help you find latest spot schedule in no time, it’s a useful trick to quickly find when and where your favorite time will play, all you need to do is enter the team name, competition or league in Google search bar. Did you know Google can work as a calculator for you? 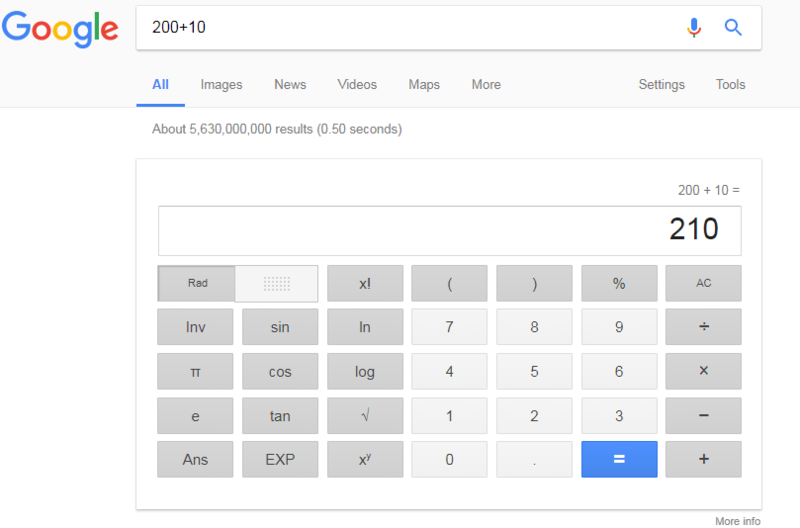 it’s a cool trick if you want to make some calculations on google input your equation and Google will solve it in few seconds, your result appears first in the search result. 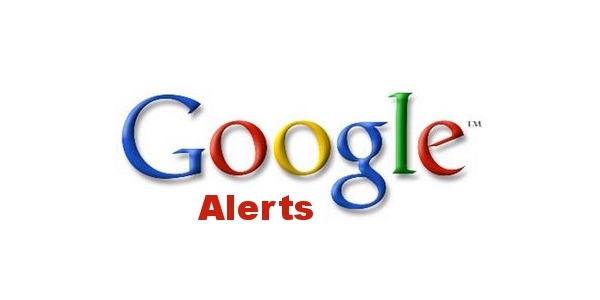 Google alert is a tool used to track/monitor keyword on the line of business, for example, if you want to track a particular keyword for your business all you need to do is record the actual keyword you want to follow and when the search engine gets the keyword result you get an email from Google. 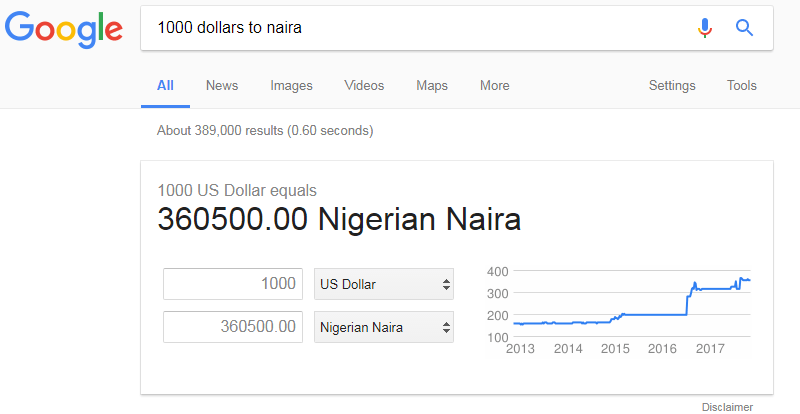 If you want to convert a unit of measures or check the worth or value of money when converted to another currency, Google is there to help you just enter your data and Google will do the conversion. Google font is a free font for web users and webmasters it allows you to choose any font size or typeface of your choice to download and it is considered for web developers and designers. 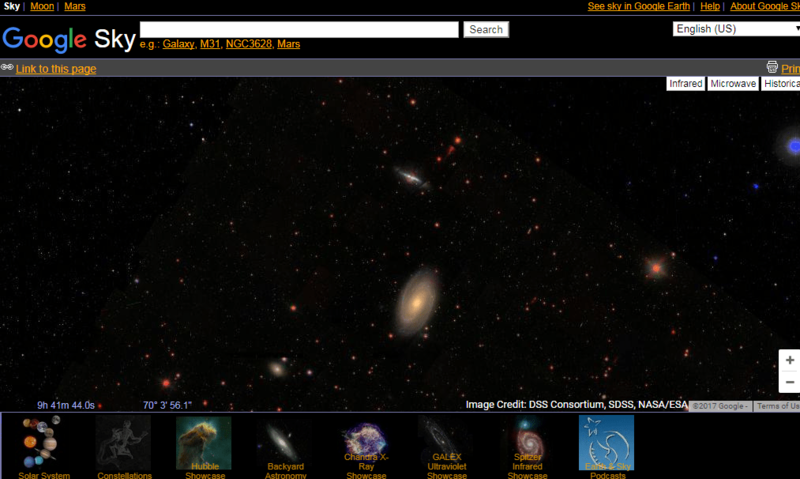 Google sky is an entertainment service tool if you are the type that has interest in space, google sky give you the opportunity to explore the stars and sky, it a great ideal for a new experience in Google. 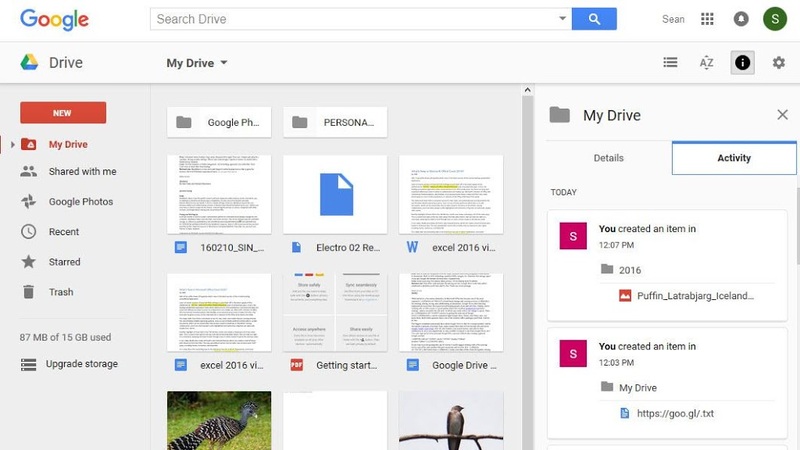 Google drive serves as a storage service and online files sharing tool launched by Google in 2012(April) this tool allows you to create documents, store files, edit and view different file types, you can manage your own files from your Smartphone, tablets or computer by downloading the application. 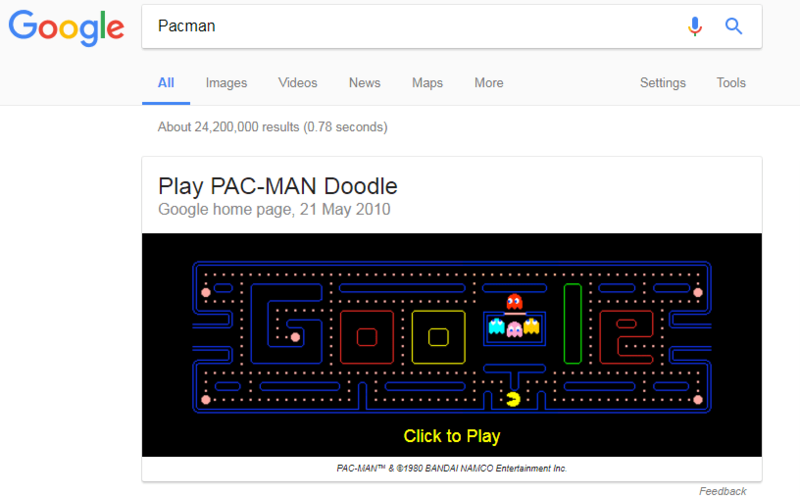 If you think of taking a break, Google will offer you some cool games like Pacman, it simple, to do this just type the keyword “Packman” in your search box. This is a funny trick that makes Google do a flip by itself, it really funny just type ” Do a barrel roll” in the search bar and see the magic. 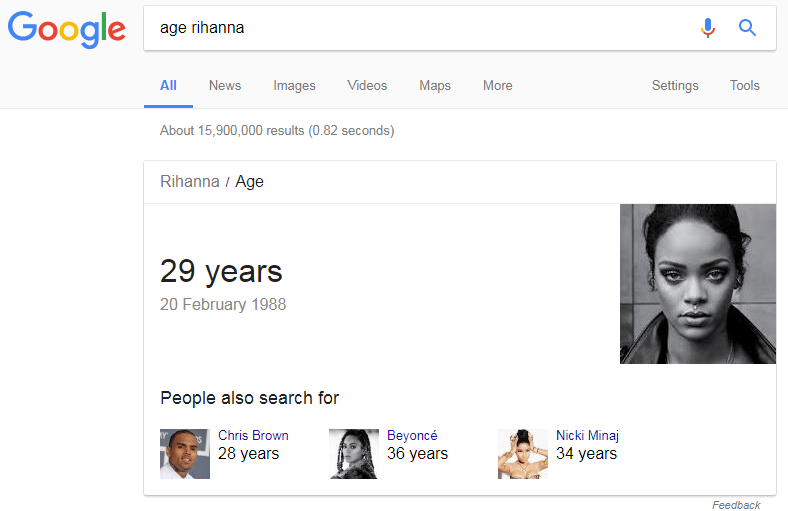 If you are doubting about the age of a certain celebrity figure, worry not Google will help you out, just type “Age” followed by the name of the celebrity, for example, Age Rihanna. Interesting post, I only know about 5 6 of them. This is a great collection of features, and I use a few of them often! I also use google flights as well! I want to try Google Translator and see if it can help me. I have a child I see often who only speaks another language. I'd love to open up the dialogue. I need to get into google trends and see what interesting finds I can get, thank you for sharing. I didn't know about any of these! Thanks for opening my eyes to all of these! I knew a lot of these, but others took me by surprise. Thanks for sharing. Surprising! Thanks for the tips! Really helpful! wow! did not realize that google has vast feature than just a search engine! I LOVE google SO much! I am definitely going to try the barrel roll trick! Thanks for sharing all these handy tips! I knew some of these already but there are many more I don't even know about. I'm checking them all out now. I had no idea Google had all of these features. I need to try them out.